Alex Rossi and Conor Daly finished The Amazing Race's 30th season in fourth place during Wednesday night's two-hour finale on CBS. The "Friends and IndyCar Drivers" fell short of winning the $1 million grand prize, as they were unable to race in the final leg with the Top 3 teams. Instead, Alex and Conor were ousted in the middle of Lan Kwai Fong, the heart of Hong Kong's night life, during a task they took too long to try to complete. The guys were therefore unable to check into that particular Pit Stop. Engaged couple and former Big Brother houseguests, Jessica Graf and Cody Nickson, walked away champions, while Yale debaters Henry Zhang and Evan Lynyak claimed second place. Retired professional skiers, Kristi Leskinen and Jen Hudak, placed third. During an exclusive interview with Reality TV World on Thursday, Alex and Conor talked about their The Amazing Race experience and frustrating finish. Below is the first half of what they had to say. Reality TV World: Based on what you learned about the very final task in which the Racers had to build planes, and after watching them struggle in the finale, how do you think you guys would have done with that? How much had you been studying between legs? Conor Daly: Honestly, we studied a lot. I think all of the stuff and all of the places that we went and stuff that we did, as I looked at [the images] they seemed familiar to us. I mean, obviously we were eliminated because we didn't know anything about Washington Square Park, but to be fair, I never go to New York City. We never really go to New York for a race. So, that's sort of on us, and we missed that one, but yeah, I mean, the plane task, it looked tough for sure. We were there for hours watching them try to finish. (Laughs) So it was pretty crazy. Reality TV World: So more on your struggle in the final task for the leg you got eliminated, what exactly were you missing or overlooking? Could you elaborate on why it was so hard? Alex Rossi: Yes, so it boiled down to the fact there were two legs in France... The thing I am still a firm believer of is the fact that we wouldn't have figured it out regardless. We found the sign, but we weren't associating the sign with the right thing, and I don't think anything was going to change that, even if we were there for another six hours. Reality TV World: It seemed like a strategy that worked for the other teams was just sitting there and guessing different three-digit combinations to open their briefcase instead of figuring out the correct order first. Did you think to do that? Did you try that approach? Conor Daly: And that wasn't shown. Alex's fingers were nearly bleeding because he was trying so many combinations, so we definitely tried that. But as it is, [viewers] don't always see everything. Reality TV World: So were you plugging away at that task for a total of about three-and-a-half hours, or was it even longer than that? Conor Daly: It definitely felt like three hours. I think we legitimately got there at midnight, but I don't really remember. Alex, do you? Alex Rossi: We definitely were eliminated at probably, like, 3:30 in the morning. Alex Rossi: Yeah, we were at the point where we were grateful for the opportunity but we just wanted to go home. We had done everything that we could. We had guessed, as Conor said. We pulled out all of our resources and knowledge to figure it out, and we just came up short. It wasn't enough for that task, and that's the way it goes on the show! [When we saw Phil], at that point, we had come to term with the fact we were going to finish fourth, and we were good with it. We were up for over 24 hours and wanted to go to bed. Reality TV World: Given you guys had a Final 3 pact with Jessica and Cody and Kristi and Jen, were you surprised no one came back and tried to help you out more once they finished that task? Or maybe they did and it just wasn't shown? 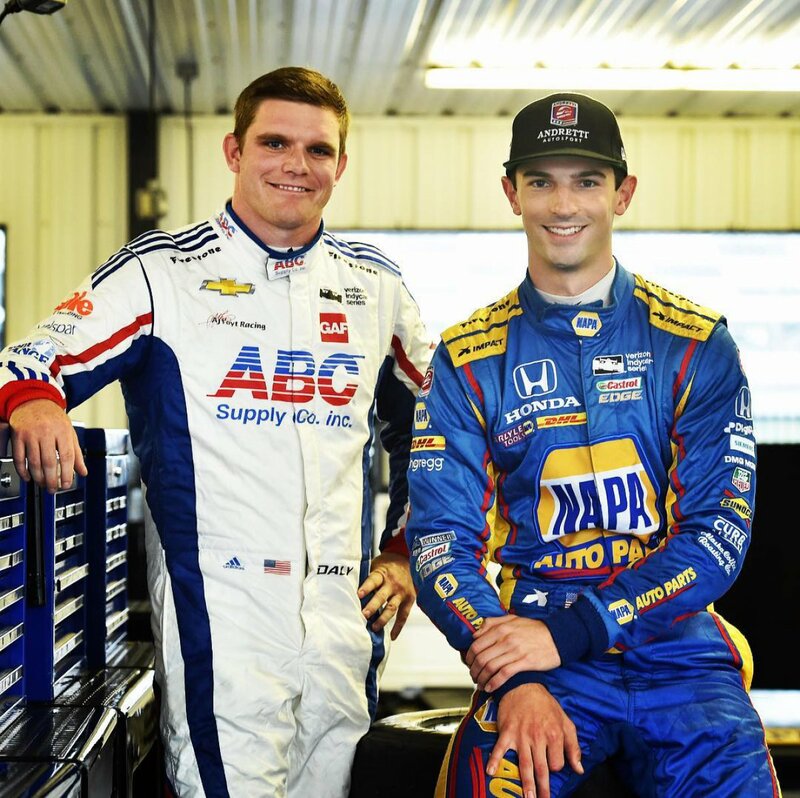 Conor Daly: You know, as we look back at it, I think we had figured out the first two numbers pretty quickly, and we just probably assumed that we'd probably get it! I think the area we were in was so big that Cody and Jess, we didn't actually see them leave. So we probably could have asked them, and they probably would have helped us -- and the same with Kristi and Jen. But Kristi and Jen were the last ones there, so they probably knew that it was going to be either one of us. And we knew Yale [Henry and Evan] weren't going to help us at all, clearly. So yeah, it was one of those situations looking back at it, we probably should've just walked around and found Cody and Jess to figure it out. But again, I just think it's one of those things where everyone wants to just be able to get it done themselves. And yeah, we weren't able to. Reality TV World: Henry and Evan were clearly the outsiders. Did your Final 3 pack with Big Brother and the Skiers strictly come about because of your friendship with them, or was there a personal reason why you didn't want Henry and Evan in the mix? Alex Rossi: No. There was no personal reason at all. I think they were a good team; they were the least social, which is, I mean, their right and there's nothing wrong with that whatsoever. But the three of us -- Kristi and Jen, Conor and myself -- Jessica and Cody, we just hung out a lot and got to know each other on kind of a personal level. We enjoyed spending time together, so we were just friends more than anything hoping that we'd be in the Final 3 together. And there's nothing really that Yale did that was spiteful or detrimental at all. I think they were great competitors and did a great job, obviously. Conor Daly: Yeah, I think Henry was super cool. He really wanted to help, but I think Evan sort of went out of her way to not help, and I don't know how that would've -- they were playing the game as if every leg was the final leg. And it was like, "Hang on a second, guys, all we need to do is get through this to get to the finals!" Somebody has to get eliminated, yeah, but if there's a certain amount of strong teams, we already kind of know what we can do. And in the end, they were probably the luckiest team I've ever seen in my life -- to go through a Speed Bump and then win, to finish last three legs in a row but not get eliminated because of a passport issue and then a non-elimination, and whatever else, you know, that was pretty lucky. But in the end, they were super smart and were super good at a lot of things, so you have to credit them with that. Be sure to check back with Reality TV World soon for the concluding portion of our exclusive The Amazing Race interview with Alex and Conor. And click here to visit our show page to begin reading interviews with more of the Final 4 teams for Season 30.